If you don’t have the time to take out your dog for a run or a walk in the park, a dog treadmill is the way to go! WRONG! … If you agree with that, maybe you have the wrong breed of dog or perhaps you shouldn’t even own a dog! While a dog treadmill can certainly be beneficial as an extra treat for very energetic dogs or during , treadmills and treadwheels are no substitute for outdoor exercise. When a dog goes for a walk or run, chases a ball in the park, etc., the activity engages his mind and all of his senses. He sees and hears new things around every corner, smells an entire universe that we cannot even begin to comprehend. The mental stimulation that comes from getting away from the familiarity of home and into a new environment is at least as important as the exercise. If despite getting ample mental stimulation from time spent outdoors, a dog is still bursting with energy, then yes, exercising on a treadmill could help burn off some steam. I’m thinking particularly of a situation where an owner might get their dog outside for a good amount of time or provide a lot of indoor environmental enrichment, but due to physical limitations may not be able to run or walk long distances. 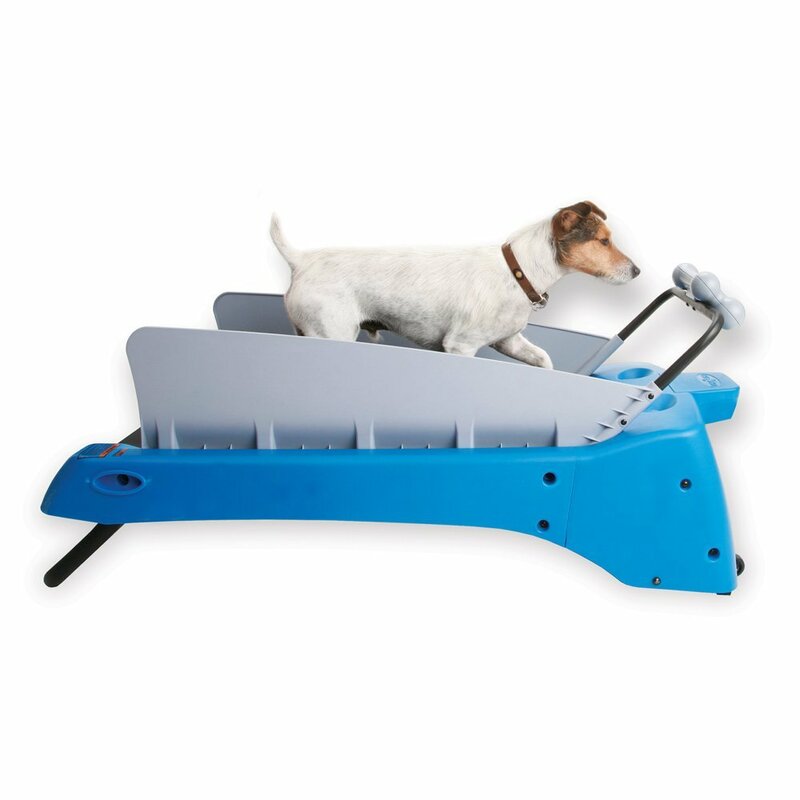 Dog Treadmills might also be useful in helping some overweight dogs lose weight in case owners cannot provide their dogs with enough exercise to significantly impact the amount of weight that comes off or when the dog needs it for physical rehabilitation. The following is a comparison chart of all the best dog treadmill out there. Simply compare whatever criteria is most important to you by clicking on the column heading. If you are looking at getting your dog a treadmill or treadwheel for exercise in addition to ample time spent outdoors, then go for it, and let us know how it works out.